OK Girls....lets talk....openly and honestly here. How many of us have paid good money to buy sewing tools that we thought were going to be the next best thing since sliced bread and it turned out to be a total frustration or waste of money? Look around your sewing area right now (well...you don't have to get up out of your computer chair literally....you can sit back down for now and do it mentally...or do it later :) what have you bought that you wish you hadn't? How many things have you bought that you have never used? Why have you not used the item? Don't ya ever wonder what sort of money we would have for retreats, fabric, threads and chocolate for crying out loud....if we had not bought all these things we don't use or need? I have an idea. How about we all share a few of the tools/gadgets/organizers etc. that we have bought and wish we didn't as well as share some of the tools/gadgets/organizers etc that we love and would recommend? This is how it will work....cuz it is the best way I know how to do this for now....later when I'm more hip to this blog organization stuff it can be done differently.....OK send me pix of the things you hate and the things you love and tell me about each item. I want the nitti-gritty here and the details too. Send this to my e-mail with your pictures attached and I'll put them on my blog. My e-mail is IHaveANotion@yahoo.com . Put LOVE/HATE in the subject box so I will know how to sort the e-mails. I thought to get things rolling I would post a few of my most favorite tools and some that I'm just not quite sure why I have them. This bobbin box...waste of money and space. I hate the plastic lid that always seems to fall off and I hate putting it back on. Why? I don't know. I just have never liked any storage method for my bobbins. I have thought about the Easy Reach Thread Carousel however because the thread and bobbin can be stored on the same peg. These little guys I really like. I make bias tape to use for straps and bindings for my projects. I really like them but I have to say....I LOVED the bias tape maker coming out in Aug by Simplicity. I think I'm so taken by that one because I don't have to keep checking to see if it is even and I don't have to keep moving the iron to check if it is all going well. That thingy-mo-bob machine did it all. This little Clover iron is a conundrum to me. I bought it for applique....but I've never used it for applique. I have used it to heat hot crystals to set in hairbows and I have always burned myself. I think it is very hot and the tip is very small. I think it would be great if I just knew exactly what I really wanted it to do. Here is this tiny iron by Drice. The directions clearly state "do not put water in it." However, the top has holes like you would think water would go in there. Why are there holes then??? The cord plugs into the side making it sit sort of cockeyed and a bit awkward to handle. I bought it to seal the edges of my Bag Tags so my really nice Rowenta did not get any adhesive on it. Well....I'd say this little fella bombed. I'd give it a minus 5...GONG. Remember that program? The Gong Show? This guy would have been Gonged for sure. This tool was given to me by my girlfriend, Mary Jane. I honestly think it is for putting in screens in windows. I call it my "Rolly Tool" and it is great for pressing seams open or to one side. I remember being told to thumb press things....well that never really worked well for me. Then Mary Jane showed me how to use my Rolly Tool....and it works great. I you have a high tech gadget and you want my advise on giving it a name....feel free to call me on the ma bell...I'm all over it. I love, love, love my tweezers with the bend at the tip. There is a technical term for these....but I forget what it is right now (part of that growing older thing). They work great for threading my serger, my sewing machine, grabbing small needles and pulling them through a tough piece of fabric, picking up small beads....you name it....these tweezers will pick it up or pull it through. Why oh why do they make wooden hoops that are flimsy and truly junk? I probably should have thrown this out a long time ago or used it for a frame and given it to someone I didn't like (I didn't just say that did I?) Well, its true. I don't like things framed this way and it does not hold needle work for a darn. Gong!!! I did not realize this would go on so long. The last two pix are of scissors I love. My applique scissors at the bottom are excellent for trimming up close to the edge of fabrics. The smaller clippers are bent and are great for snipping without catching other threads or fabric. OK...I'll stop now and give you a turn. Fill me in....give me all the details....I'll share them with others....and we will have some laughs and learn something from one another. Kathy Greene, owner of "The Fat Quarter Factory" has made some beautiful bags. The first is the Birdie Sling by Amy Butler. The fabrics Kathy choose are so cheerful. I love making bags and totes. They are great conversation starters and so great to receive as gifts. Kathy has some of the most fun fabric on her site. She keeps it fresh and interesting and a must stop/click for fabric lovers. 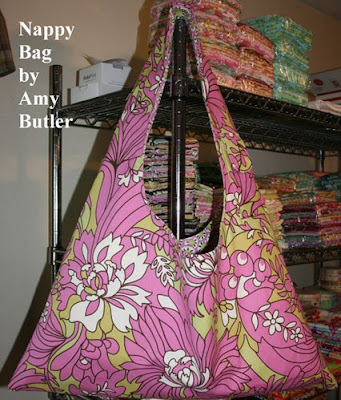 In the background of the first picture of the Nappy Bag you can see only a small glimpse of what Kathy has in her on-line store. I'm telling you every time I go I don't want to leave. How lucky am I to live in the same town as Kathy? Waste Not - Want Not!!! Recycling at it's best!!! Are there any limits to recycling? Heck NO!!! We know this right girls!!! RIGHT!!! When is it ok to throw away fabric? How used is too used? I found this and was thinking about the which presser foot I would need for this one.....I"m still not sure. What do you think? Perhaps I could make this into a nice lawn chair cover? Can you tell what I spent my entire weekend doing with my husband? You guessed it....we spent two entire days working until we near dropped. We were able to remove all the old landscaping and got the ground ready to choose something different. Since the economy is in "recession" we are tightening our wallets as well. Getting hair replacement therapy is out of the question for Rick; I re-purposed this beautiful piece and now it is Rick's new toupee. I love the long locks....sort of a Earthy Rock Grunge look....do ya like it? I think it takes years off his face and provides plenty of coverage in just the right places. First you cut your fabric on the bias (if you need bias cut fabric-I don't use bias cut for my small projects like the straps on my Bag Tags) and wind it around this spool. It comes out easily. Then you feed the fabric into the metal bias tape adaptor. It can make up to 25 feet of bias tape in one minute. No Kidding!! Then you pull your fabric through the adaptor. Notice the silver plate on the bottom of the machine? In the next picture you won't see that because it has been flipped up and covered. This is the only heated surface and it will always be covered so you can't get burned. Now you can see it has been flipped over and out the end comes your bias tape. The following pictures I took because I wanted to show everyone how the silver plate is covered. Right now it comes with the 1 inch tip but I imagine they will have other sizes soon. Did I mention the entire thing only weighs about 1 lb. It is small and just flips open. It is electric but you can't really see the cord in my pix. No, I don't work for Simplicity nor do I own stock in Simplicity.....I just really like things that work as they are advertised!!! Don't forget that you first saw this here.....oh yea baby....bringing you some very fun new stuff!!! I can't wait to share what I see at the Quilt Market. You know I'm taking my camera with extra memory cards! I'm always posting gifts I give to adults so I thought it would be fun to post some pictures of things that I like to give to children. The first is usually a big hit with little ones all the way up to 8 and 9 years old. They are "no-sew" tutu's. I must admit that I do sew the elastic because I don't like to knot it. Otherwise, there is no sewing involved. From beginning to end it takes me less than an hour to make and the little girls just love them. 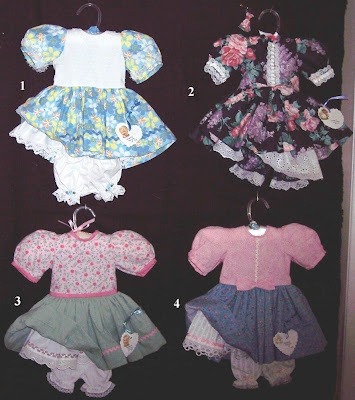 A friend of mine, Joan, makes the little dresses for the 18 inch dolls. I have given several of these as gifts as well. I only wish I could make these lovely dresses. Joan is a detail gal and the trims and snaps/buttons are all hand sewn. There is no Velcro on any of her outfits. I've always loved her work and asked her if she would mind if I posted them for everyone to see. She agreed so I'm feeling very lucky to be able to share these. Countdown to Quilt Market......17 days!!!! I can't wait. I'll take lots of pictures to share. Speaking of sharing...I saw the new binding machine on Friday and I can't wait to upload the pictures and share with everyone what I saw and learned. I remember being in Paris looking at all of the creations/art. It was everywhere I looked. I was amazed at the hours that it took to create all the art that I saw. The ideas that came first, before paint went to canvas, the stone/clay/bronze that was a lump before it became the art. All the people that must have been involved in the process. I was in awe. You know I can cook, Baby!!! The real "Joy of Cooking"
"The Artist, Formerly Known as Aaron"
Now back to today....I look at all the cloth that I have and have seen. Someone must have picked the cotton, taken it to the gin (do they still do that? Where would be be without Eli Whitney) chosen the dye, picked the pattern/style of print, put it all together to make fabric, packaged it to go to the distributors, drove it to the distributors, the people who bought it to sell it, the folks who unloaded it and put it on the shelf, the person who cut the fabric, the person who rang up the order, the other people you shared your new purchase with and who helped in the decision making to get to the final result: your project. Where does your creative energy come from? How many people were involved in the final outcome? Do you really appreciate all that it takes to cut up some cloth, thread, yarn, paper, clay, etc............take a moment now to just fathom how truly blessed we are to be able to have time to do what we love.....what brings us pleasure. Then there is our inspiration. The little faces you see in the opening of this post are my inspiration. My heart is completely full of joy when I see these pictures and it is this joy that translates into energy to continue creating new fun projects every day. 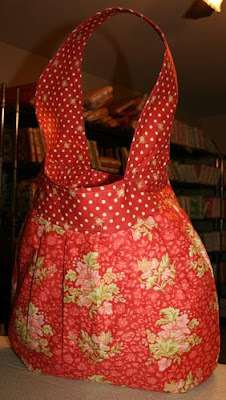 And by the way, did I mention I made those aprons? I tie design is my own....I call it "The Gentleman Diner." Please don't call the men in white coats to come for me because my trains of thought go this way and that way and the other way and back again. I was born this way!!! 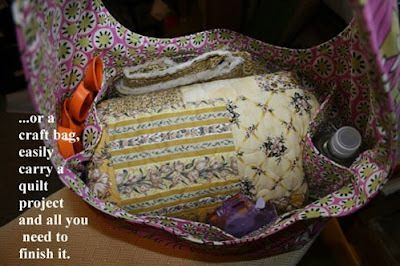 Would you like to join the Blogger Quilt Festival? There are only a few days left to participate. Click here enter one of your quilts. This is just a show....no judges....so head on over and post a picture. You have nothing to loose and only a prize to win.....just for participating. I know many of you have seen this quilt so pardon me....but I love it because of the gals who helped me make it. It is an example of lots of great ladies coming together and without each one of them....this quilt would not have come to fruition. This is a quilt I made for my living room. I really like the circles and how they play together. Janet Bellinger of Wellsboro, PA was teaching the class at Needles Quilt Shoppe. I decided to take the class and went into Needles to select some fabric. Up until this point I had mainly made quilts as gifts for others. Katie and Mary,owners of Needles Quilt Shop , encouraged me to pick fabrics that go with my furniture and make a quilt for myself. Well, that was a novel idea. Make something for myself!!! Hmmmm. Our furniture was in storage and had been for almost a year. So I dug out some photos of my furniture and took them into Needles. Mary and Katie stacked so many bolts of fabric on tables that I thought their arms would fall off. I'm sure their arms have huge muscles from all that hauling and toting those bolts of fabric. I went through the stack and selected the ones I liked the best. They encouraged me to pick things I might not otherwise select as they would enhance the other fabrics I had chosen. So I stretched and got some with little flowers, stars, dots, etc. Once I started the practice piece for sewing on a curve, I was off and running. I finished the top in less than a week (if my memory serves me correctly!!). Janet has made many circle quilts and she also is a long arm quilter. Who better to do the quilting? After it had been quilted, my girlfriend, Mary Jane, and I sat down and worked on the piping and the binding. Mary Jane had just gotten the "Piping Hot Binding" tool and we were both eager to try it out. The piping was done in no time and the edges were nice and even. I'm very proud of this quilt and happy that all these wonderful women have helped make the finished project so beautiful. The quilt hangs over a chair in my living room. In the year 2005, I took a circle quilt class from Janet Bellinger of Wellsboro , PA at Needles Quilt Shop. Katie Mader & Mary Guinn, the shop owners, inspired me to make a quilt for myself and assisted with the selection of fabrics. Janet did the long arm quilting and my friend Mary Jane Ehlich helped me put the piping and binding on. One single lonely Salvage...yes just one. That is all I have. I have always thrown them out. Lately with my re-assignment projects....they don't come with salvages. So, I have exactly one and a very nice storage method I might add!!! You have to check out The Salvage Blog There are so many cool salvage projects. Too bad it will be awhile before I can make anything more than a G string :( And one is probably not enough for that....I don't even know if they have patterns for those....and who would I give it to? Oh just forget it....I'll just save it until I get more. A close up so you can really see how cool my one .... yes ONE....salvage is....so very cool!!! Don't blink, you might miss it. Remember that thread stash I was going to work on? Well, I added some new spools this week....woooo hoooo. This is the first variegated thread I've ever bought. I'm excited to use it on my machine and in my punchneedle projects. The lime green is because I don't have much lime green left and I did happen to remember that while shopping!!! All these things we need to keep in our heads...what threads we have...what we need...what we may need....what we want....oh my this is very difficult....How do we do it??? Since I'm showing you my storage method (for my one salvage)....I figured I might as well open the kimono and show you the whole kit and caboodle. So here is my sewing area. I did not however include my two racks of fabric and other stash items. Nor did I include the storage of my other sewing related items. There is a reason for this....one to build suspense (like the James Bond movies....only with no music and not very much drams) and the other is that my son Zach was screaming that he wanted lunch. So, I'll get back down again soon and take some more pictures. FYI: My Store does take checks so don't hesitate to place an e-mail order instead of using the website to order. You might want to add some new terms to your sewing language. Stumble and Sable. I have more of course but they're not all acronyms. Just thought I would start out this day with a vocabulary lesson. Now on to the best and most interesting topic of all...Gifts....espceially gifts given to ME. This is a miniature made by MJE and it is one of Bonnie Hunter's patterns. I remember when Mary Jane saw this and got excited. She and I sorted through her scraps....and I made fun of her for having all those scraps (be careful what you laugh at....you may either become it....or begin to value it). I know it is not the best picture but it is one I have here handy. It hangs in my sewing area and I just love it. There were many e-mails and comments yesterday about my "re-assignment surgery" analogy. This poor guy was born a prince and will die a frog!!! One woman commented that her daughter wanted a quilt made from her childhood clothing. The woman tried to cut it up but had a very hard time. Ladies.....this is exactly why doctors do not do surgery on their family members.....send those things out to your most trusted surgeon/stitching friends for re-assignment!!! No, I'm not into Vudu....this is a pin cushion silly....where is your mind lately? You can breath now....I made it. Barely, but I made it. I hope those bitten nails heal soon. The Cottage Quilter will be very happy that I had enough thread to complete all four of her Bag Tags. She should be getting them in the mail soon. Now I need to focus on that thread stash!!! 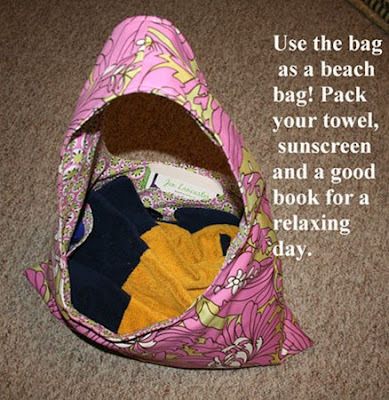 I am totally and completely behind this phrase (you have to really look hard or use your imagination cause I'm not that thin)...I love to re-purpose and recycle lots of things. I usually have more fun doing that than I do buying retail and going home to make something with it. You may have heard about my treasure hunting at the Rummage Sale and Garage sales this weekend. Here are some pix of those great 100% cotton shirts I got to for making a quilt. Four of them by chance coordinate with 5 others I had gotten a few months back. I may have enough to do the disappearing 9 patch I'm planning. The idea for using men's shirts came from Bonnie Hunter and her book, Scraps and Shirttails. A quick funny here....I put these in the washer and Rick finished putting the clothes in the dryer and then folded them. He was very puzzled when he saw all these men's shirts in the laundry. Rick called me from another room and asked, "Kelly.....what are these?" I didn't have the courage to tell him that I'm am having on-going affairs with several men that wear different size shirts....so I just told him they were for a quilt. Can you believe he fell for that one? They came out different widths and lengths....How does that happen? I'm really asking you that....How does that happen? Please tell me. Perhaps I need to wear my glasses downstairs. I selected the fabric for the giveaway Bag Tags from my stash. The gals e-mailed me their color preferences. I have a fabric stash....not a really big one....but one none the less. I guess I never planned on needing a thread stash too!!! Take a look at this.....I needed it to stretch for a bobbin and top thread for 4 Bag Tags.....do you think I made it? What do you call a scared tyrannosaurus? Ideas!!! Need some? Got some!!! Annie Get Your Gun? Or AMO Case? 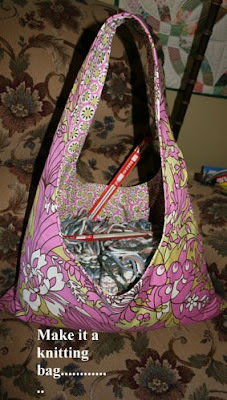 You just have to see this gals bags!!! Part 2 of Who Ordered This Snow? More Easter fun...and Don't Forget"Tag You're It"